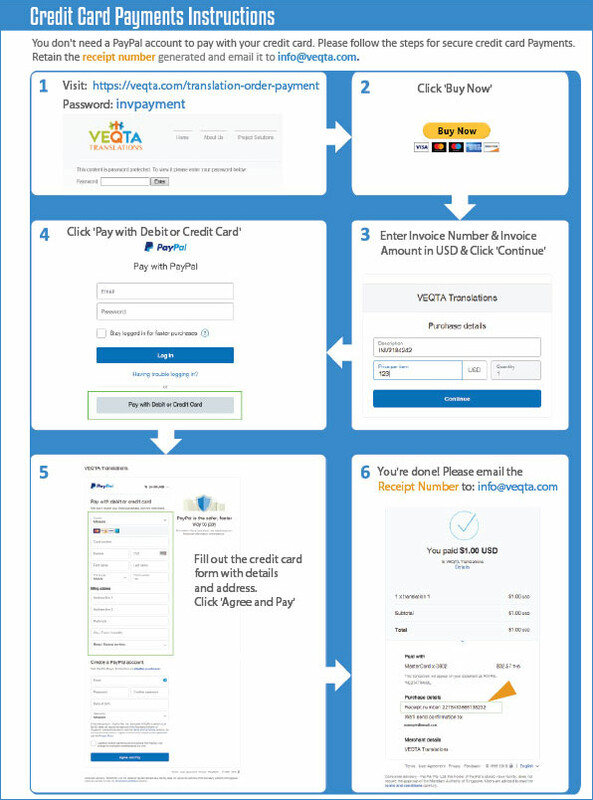 VEQTA Translations offers Secure credit card payments via PayPal’s credit card processing. You don’t need a PayPal account and don’t need register a PayPal account to pay. To pay an invoice please click ‘Buy Now’ and follow the prompts on the screens. You need your invoice number and the amount payable that has been provided to you by VEQTA. Don’t forget to retain your receipt number generated after the invoice payment and email it to us to expedite the process. View the instructions as a PDF in a seperate window.